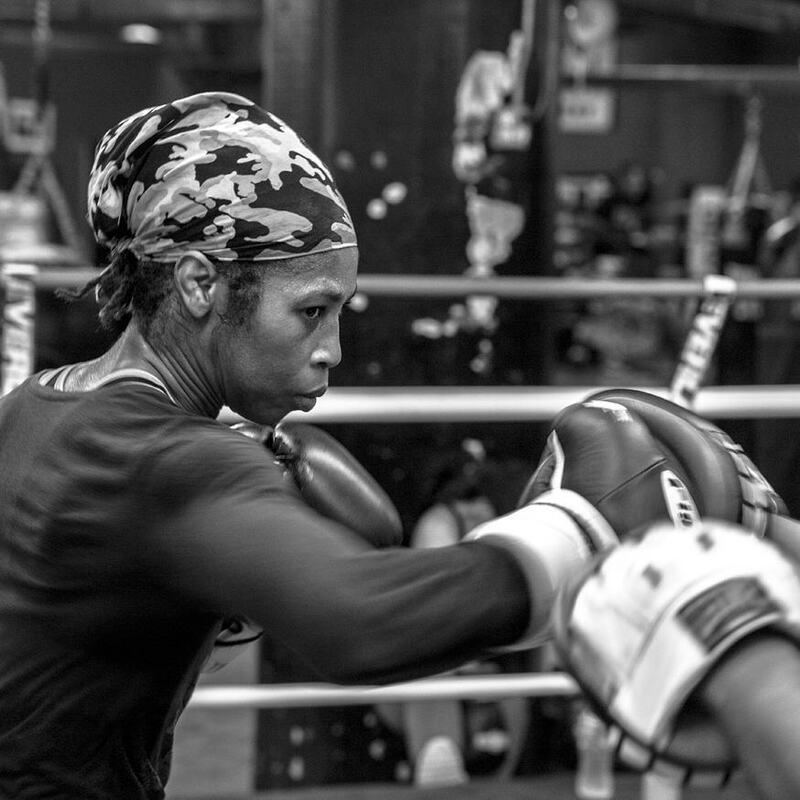 Alicia “Slick” Ashley remains one of the most compelling fighters in women’s boxing not only for her longevity in the sport (she fought in the first ever U.S. nationals as an amateur in the late 1990s), but in her ability to perform at the top of her game as a virtuoso of the art of boxing. And no wonder too, Ashley started her career as a dancer before embracing kickboxing and eventually the sweet science. At 48, (yes that’s a story too), Ashley will be heading back into the ring on October 29th at Aviator Sports & Events Center in New York City (a complex located on the famed Floyd Bennett Field in Brooklyn) with a view towards reclaiming the WBC Female Super Bantamweight Title belt she lost, some would say controversally so, to Jackie Nava thirteen months ago in Mexico. Ashley will battle against Ireland’s Christina McMahon (7-0), a 40-year-old latercomer to the professional side of the sport who holds the current interim WBC Female Bantamweight Title. The co-main event is on a Brooklyn Brawl card promoted by Dimitry Salita. Ashley’s career has tracked alongside the near-on tragic highs and lows of women’s boxing in the panoply of American sports television with its boom-bust cycle of support, promotion, paydays and opportunities for the talented working professionals who grace the boxing gyms of the U.S. across the country with their remarkable work ethic and love of a game that at best ignores them and at worst actively seeks to keep them off the air–and thereby out of the running for the opportunity to earn a living. That tide of lows *may* be on a slight uptick given that CBS Sports (cable) aired the four-round Amanda Serrano v. Fatima Zarika fight on 5/29/2015 (the first such fight on the network since the late 1970s) and the very public statements by Shane Mosely castigating the boxing industry for keeping women’s boxing off the air. To prove that it wasn’t just all “mouth,” he went on to put the Maureen Shea v. Luna Avila IBF World Female Super Bantamweight ten round title fight on his Pay Per View card on 8/29/2015 with the promise that there will be more to come–although there has been little to no discussion about it since. For Ashley, long an advocate for equity in the sport, the potential uptick–which those of us in the game who truly advocate for women’s boxing watch as avidly as the Dow Jones–this may mean the opportunity for slightly higher pay days, but given that she is a champion four times over, she’s far from being known as Alicia “Money” Ashley, and can only earn a decent payday in places like Mexico (likely the equivalent of “Money” Mayweather‘s tips after a night out in Las Vegas). And by a slightly higher pay-day, I mean the chance to take a vacation or upgrade the equipment she uses as a boxing trainer at Gleason’s Gym where she works from early in the morning till late in the day, six days a week. This is the life of a female boxing champion–our Bernard Hopkins, if you will, whose dancer-like poise, defensive genius and ring savvy thrills each and every time she steps into the ring. 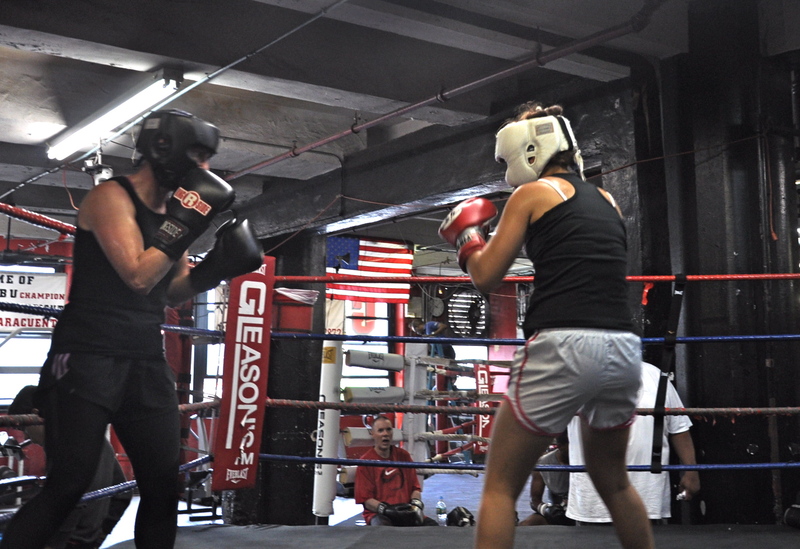 Ahead of her championship title match, Ashley continues to labor at Gleason’s Gym where “camp” means adding in an extra couple of hours a day to spar and train in addition to working with her clients. 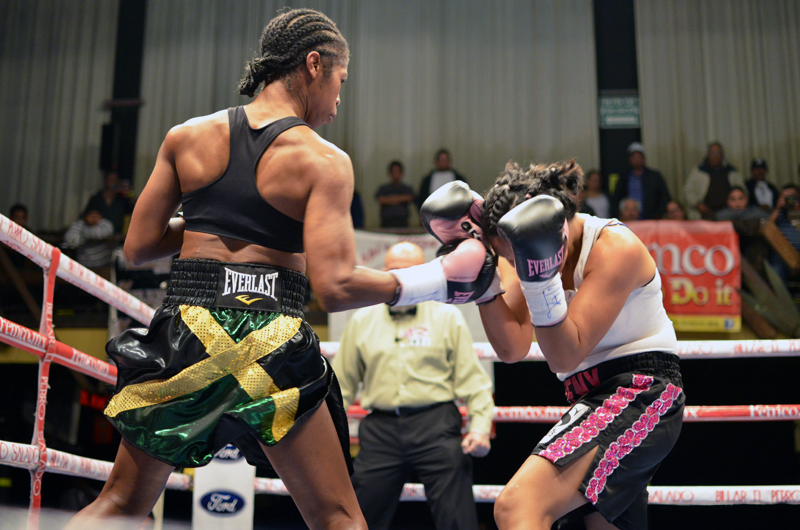 This is not an unknown as other female boxing champions/trainers such as Heather Hardy, Shelito Vincent and Keisher “Fire” McLeod must do the same to earn enough money to compete. On the “bright side,” being a trainer means pretty much staying in condition, if not in boxing “game day” shape. Hmmm…. 1. You’ve got an upcoming WBC Female Superbantamweight fight on 10/29/2015 at Aviator Sports in Brooklyn, NY for the vacant title against Irish boxer Christina McMahon. Although at 41 years of age she’s only 7-0, she does have the interim WBC World Bantamweight title. What can you tell us about her and how this bout came together? I actually don’t know that much about Christina other than her going into someone else’s back yard and winning the title. There isn’t that much video on her and I feel her record doesn’t fully speak to her experience. She, like I, joined the sport after fighting as a kickboxing champion and that in itself means she’s not new to the game. Every opponent is dangerous no matter their experience. 2. You lost the title a year ago to Jackie Nava, a fight some observers felt you may have won or at the very least fought to a draw (as one judge saw it)–with the loss coming because of how your style (you are called “Slick” for a reason) is one that the Mexican judges may not have felt showed enough to score rounds in your favor. Even with that loss, you had a TKO win over Grecia Nova two months later in Haiti–where you continued to fight in your cool “slick” manner. As you prepare to fight McMahon — what are you focusing on to ensure that the judges will see the fight your way if it goes the distance? I can only ‘fight’ my fight. Yes, I am a slick boxer and although the desire is to never leave it in the hands of the judges, sometimes there is nothing you can do about it. I’m not known as a knockout artist but I think my style of boxing will definitely be appreciated more here in the US. It’s not just about being a hard puncher, it’s about being effective. 3. We’ve talked before about the state of women’s boxing, the frustration of finding promoters to put women’s bouts on cards, the frustration of seeing cards put together only to fall apart (as happened with this fight originally scheduled for September), the intense battle for pay equity (a losing one for certain right now), along with the continued absence of female bouts on television in America with very few exceptions. Given that Amanda Serrano appeared on CBS in late May, and Maureen Shea on Shane Mosely’s PPV card at the end of August, along with two female bouts on PBC cards on 9/11/ & 9/12 respectively, if not on television–in your view, is there any reason for optimism? I should hope that there’s always reason for optimism, but its disappointing that in this day and age the amount of female fights broadcast can be counted on one hand. I’ve been in this business over 14yrs and am still shocked that I’m more well known in other countries. That they are more inclined to showcase female fighters than we are. This I feel is the main reason we continue to get astronomically low wages. In fact, 10 years ago when I fought for my first title I earned more than they are offering women now. How can we continue to accept way less than we are worth and then expect it to get better? This battle cannot just be fought by a few women. 4. 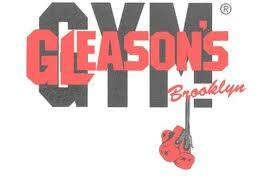 I’ve been fortunate enough to have observed you take a wide range of male and female boxers to school sparring at Gleason’s Gym, not to mention having seen a few of your fights in person over the last few years. At 48, you are continuing not only to fight competitively, but seemingly to remain at the top of your game. 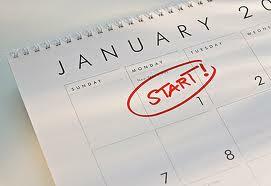 Win, lose or draw on the 29th, are you of a mind to continue boxing competitively for the foreseeable future? I continue to fight not only because I love the sport but because I do remain competitive. 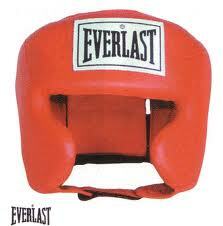 I can honestly say that I leave my fights and sparring without any serious damage. That is the main reason I have longevity in this sport, the ability to not get hit. Other than people being shocked at my age, which is not noticeable in or out of the ring, I’m not battle weary in any way. 5. You are an inspiration to female boxers and have developed into a phenomenal trainer and coach. Do you see yourself pushing on that front to start seeking out professional women to train and take into that aspect of the sport–or will you continue to focus on women new to the sport or pushing their way into the amateurs? Thank you. 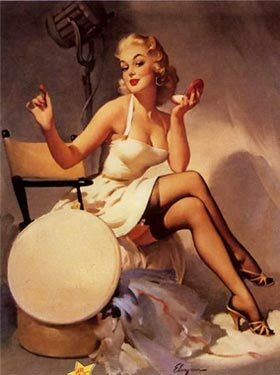 I feel its important to pass on any knowledge that I have and am very honored at the women, amateurs or professionals, who seek me out and are accepting of it. The one thing that I’ve been working on is doing a female fight seminar. This is more about being able to break down fighting styles, picking up the nuances of a technique and being able to adjust accordingly. Quite a few females that I’ve sparred, especially in round robin, are surprised at how well I can adjust to the different styles and I believe experience with seeing the ‘bigger picture’ is an important tool to the trade. Anything that I can do to elevate women’s boxing, I will. 6. What do you tell your young female fighters who may want to enter the sport professionally? Or put another way, is there a future for them to seek out? I’m hoping that with each new generation of female fighters that there is some kind of progress in the right direction. I try to be realistic with my fighters and they are not clueless. Most, if not all the female fighters, have a full time job and don’t expect to break the bank as a professional. What we are hoping is to at least be able to live comfortably and at this point very, very few women can attest to that. 7. 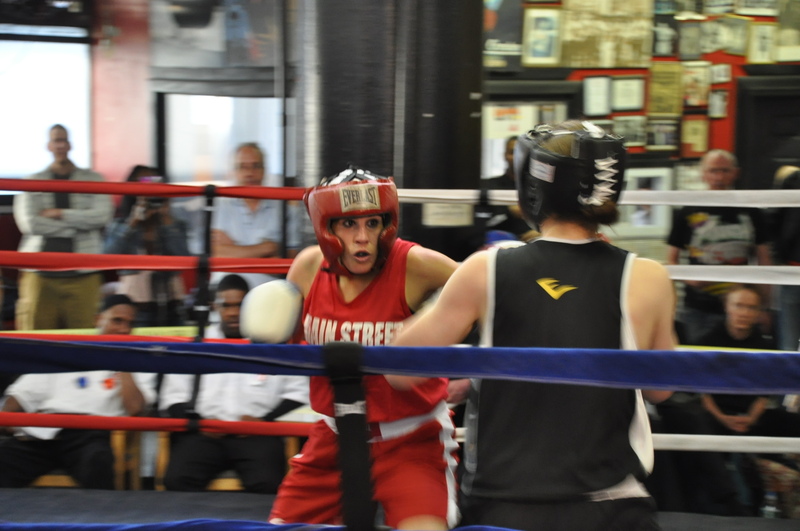 You always talked about boxing as performance–if you do decide to wind down the competitive aspects of your career in the sport do you see other avenues for expressing art in the public realm? 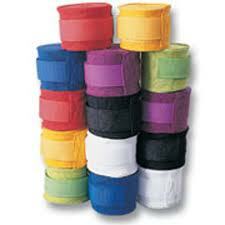 It’s very hard for me to look past boxing right now. It was the same with dance. 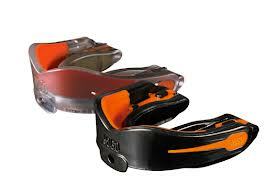 I had no other avenues mapped out before I was injured and its the same now. I’m currently teaching the sport so I essentially I already am in that new chapter. 8. I look upon you in awe sometimes as a professional fighter, body artist–because to tell you the truth that how it appears in your case–and talent when it comes to coaching and mentoring. What does it all feel like as you perform in those roles and as you look to embark on yet another performance on the 29th? In other words, what is that is motivating you to express yourself so strongly and with such power in the ring? I’m in awe myself when people express such respect or inform me that I’m an inspiration to them. As you know, I always equate my boxing as a performance and its my duty to entertain and captivate the audience for 20 minutes. Attention span is so short nowadays that its a challenge in itself to keep people mesmerized and that is all the motivation I need. Alicia Ashley versus Jackie Nava … you be the judge. Things to do about boxing on a rainy day, read “The Sweetest Thing”! 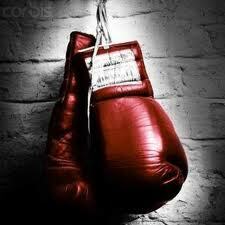 Things to do about boxing on a rainy day, read The Sweetest Thing! 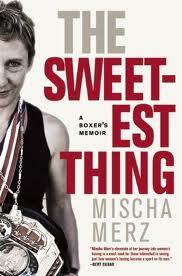 The Sweetest Thing: A Boxer’s Memoir. Part memoir, part wonderful reportage, this must read book about women’s boxing inside and outside of the ring is as engaging as it is insightful about what it takes to be an elite athlete in the sport. I think you’ll agree that Mischa has captured the heart and soul of the sport as she not only describes such things as the relationship between fighter and trainer, but what it takes to win and lose in a sport that has only recently started to garner a modicum of the respect it deserves. Mischa is also one of the sport’s champions in her own right and has become an important voice in promulgating what is best about the sport. So Girlboxing friends, if you haven’t done so already, it’s time to hit your local bookseller (or online equivalent) to get a copy of Mischa’s book and start reading! 1. I have a friend in the throes of a tough fight against breast cancer. She’s ridiculously young to be going through this sort of “shite,” but if you ever needed to move on from a “what’s this all about” moment — take a read through Mandy’s terrific Breastcancerography blog to put it all in perspective! 2. 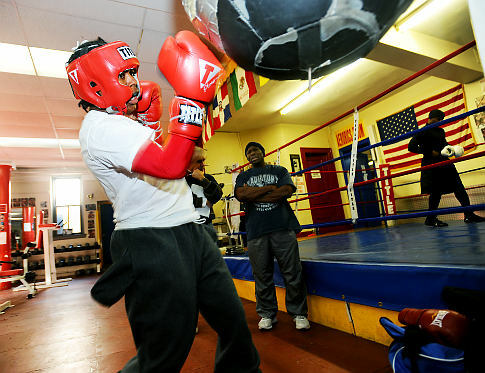 Life got you down, try heaving 60+ extra pounds around during a four-round fight! That was Sonya Lamonakis’ task when she fought Gigi Jackson last week — and somewhere from the depths, Sonya brought it forward. Talk about inspiration — that’s how champions are made. Finding the place in oneself where one can move past difficulty and seemingly insurmountable obstacles to succeed at the task at hand and if that’s not possible, walking away knowing that one did give it one’s all, which in my book is something to be just as proud of. 3. Every time I get to the gym, someone catches my attention and I am riveted by the precision of their work and more importantly by their work ethic. Sometimes it’s a trainer, explaining the nuance of a technique while at other times it’s a fellow gym denizen shadowing boxing in front of the mirror or heaving weights or doing sit-ups for the umpteenth time in a row. Whatever it is keeps me coming back because I know that I’m part of the chain of a terrific community that inspires by showing up to do the work. And whether it’s 6:00 in the morning or close to the end of the day, the da-da-da da-da-da of the speed bag gets into my soul like a heart beat that reminds me how much the gym can mean. I had a terrific morning yesterday working out with Lennox Blackmore. We spent four rounds on the focus pads on such fundamentals as clean doubled-up jabs which brought us all the way back to the beginning — the stance. Yep, by sitting lower in my stance with my body angled forward, my jabs were crisper, my slips more economical and rights in the pocket with a nice hard “thwack” sound every time it hit the pad. Once on the double-ended bag for my second set of four-rounds, I worked more and more on keeping my stance low and thereby really pushed out punches from my core. And that, I realized, is the entire point of the stance. 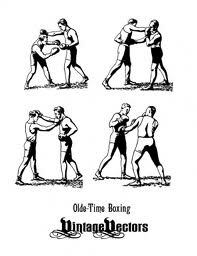 Sure, a proper stance provides a boxer with the right amount of balance, but more fundamentally it allows a boxer to use his or her core energy and strength to throw punches that are swift and sure with an economy of movement that saves energy and shaves milliseconds off the time needed to connect. And that’s the thing about boxing. 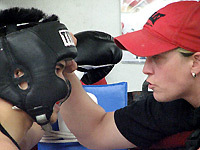 Many training sessions follow a rout pattern of warm-up, training steps such as shadow boxing, focus pads, sparring, slip rope, heavy bag, double-ended bag, speed-bag and so on in whatever combination is being worked on that day, however, every once in a while, it all connects and boom — it comes together again in some new more fundamental way. A lot like life, no? 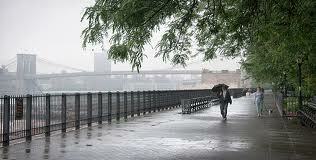 One wanders along doing the same thing day after day and suddenly a thunderbolt hits and the pathway seems clearer. And while it might be nice if every day was greeted with an epiphany of the day, the fact is there’s something down right sweet about finding it buried deep within the work. Leastways, I find it to be the case.